I love to bake, but don’t do much baking in the summer months. 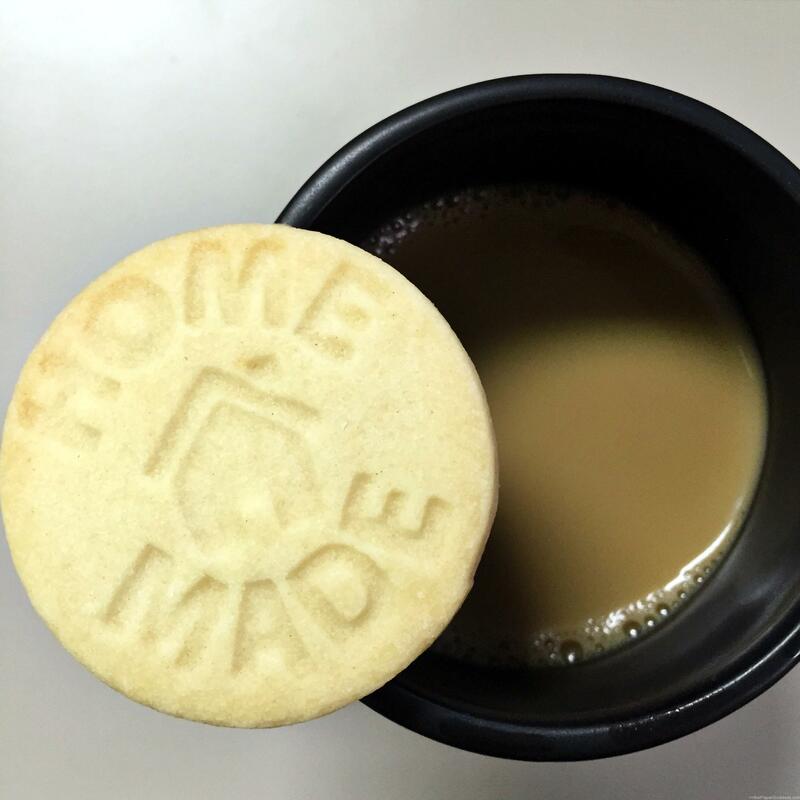 As the cool nights have rolled in, I was craving a little something warm to dunk in coffee. Anymore I find I reach for my simplest recipes. 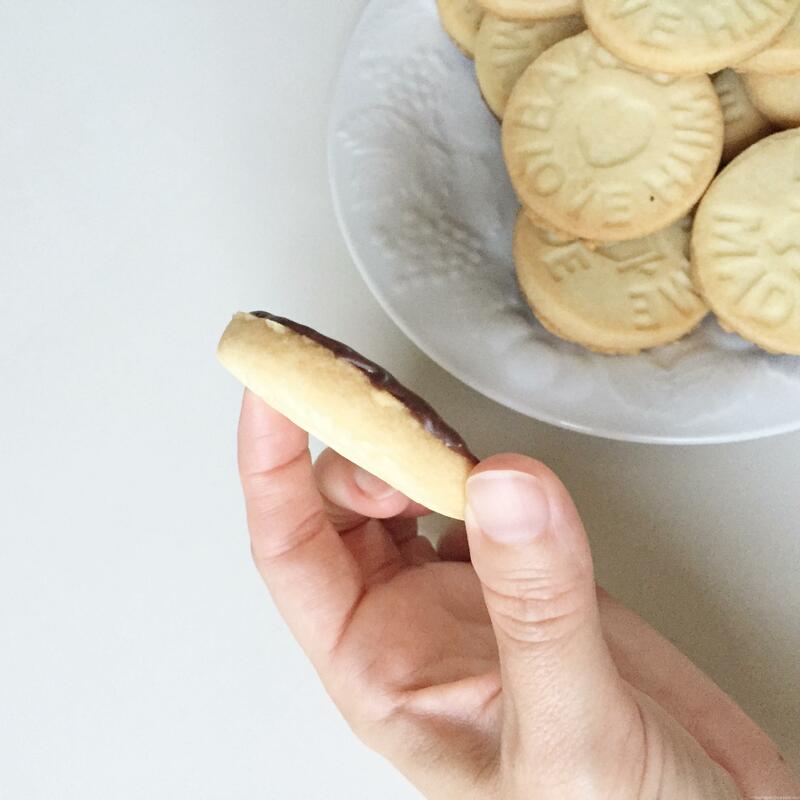 I love the Keebler Fudge Stripe cookies and have been searching for a homemade version for a while. 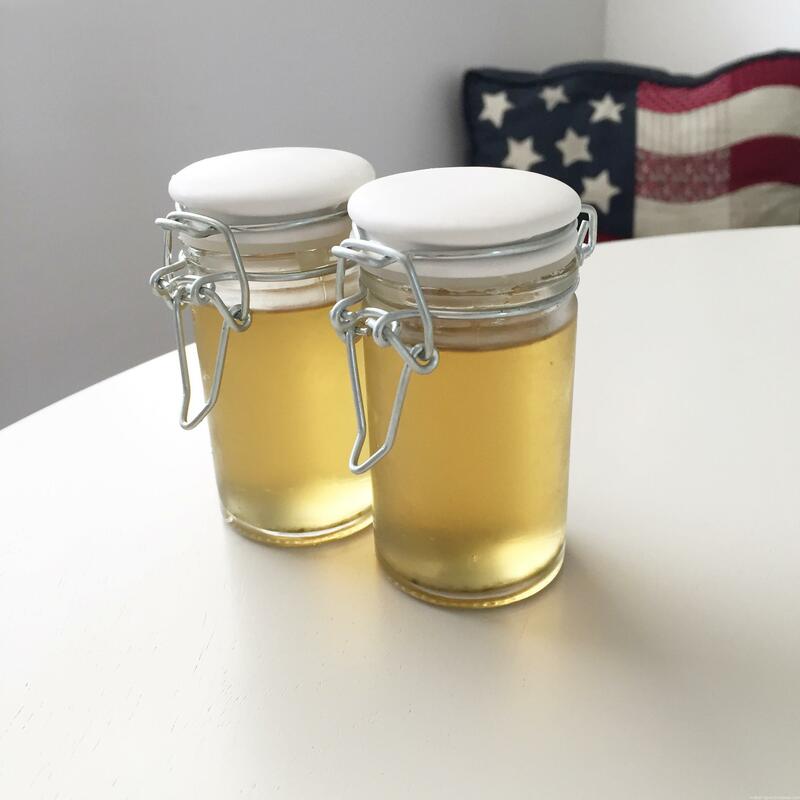 Most of the recipes I found called for corn syrup and it’s just not an ingredient I want to use! I figured opting for a shortbread style would work. 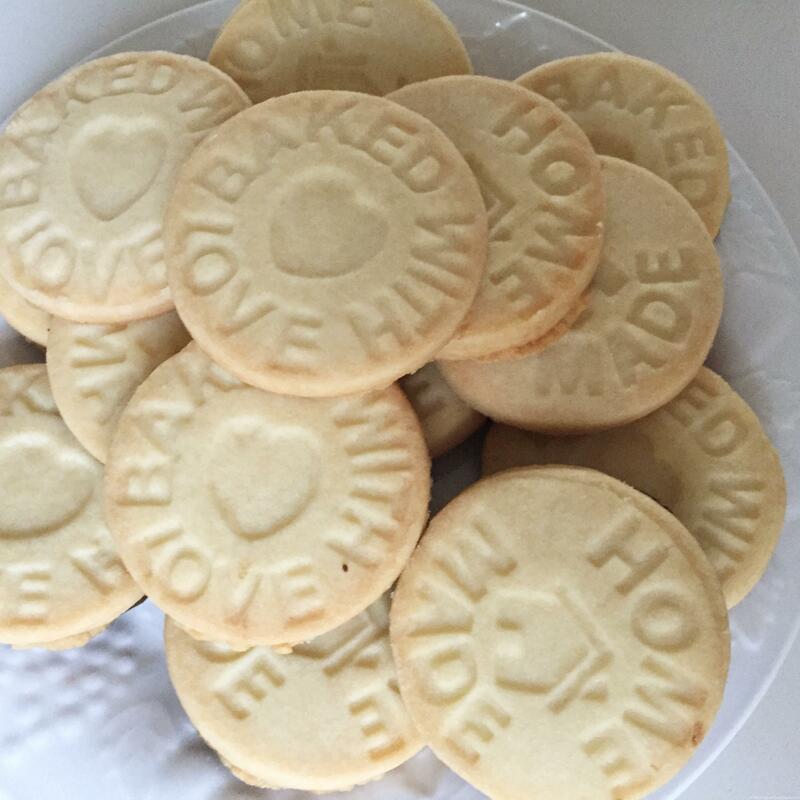 I love Fancy Flours for unique baking items and have been intrigued by their cookie stamps for a while. I ended up picking up a cheap cookie stamp at HomeGoods to try out to see if I would like the process. I merged a few recipes together, but mostly was inspired by this one at DineandDash.net. I am starting to live among tomatoes. 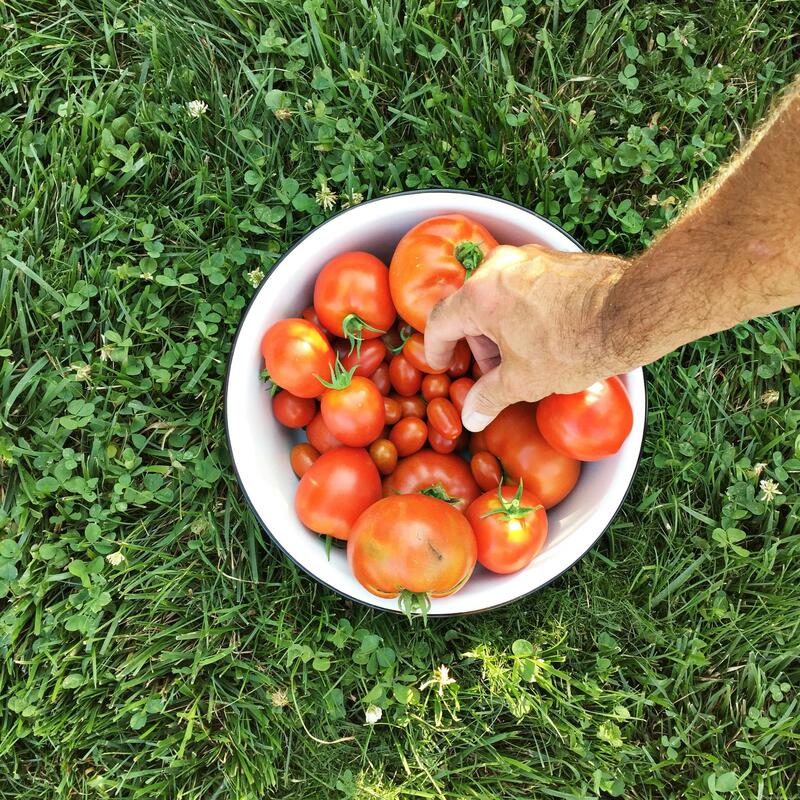 They are in the garden, on the counter, on the dining room table, in the fridge & in almost just about everything we are eating these days: salad, frittata, sandwiches, omelettes, pasta. I am hoping to get to some canning soon. I bought this kit from Ball to get started. I’ve done the full water bath canning before, but with the few number of plants I have, I don’t think I will be doing a ton. Maybe 2 or 3 small batches at a time. In the past I have used creative recipes, like different salsa or jam, but I think I’m just going for straight up canned tomatoes this time. It will come in handy for homemade sauce & soup. In other aspects, I am chomping at the bit to get to some scrapbooking. So many layout ideas & stories circling around in my head. I am hoping to find some time soon, until then I try to be mindful of jotting down notes & keeping my ideas organized in Evernote. More to come on that later this week. 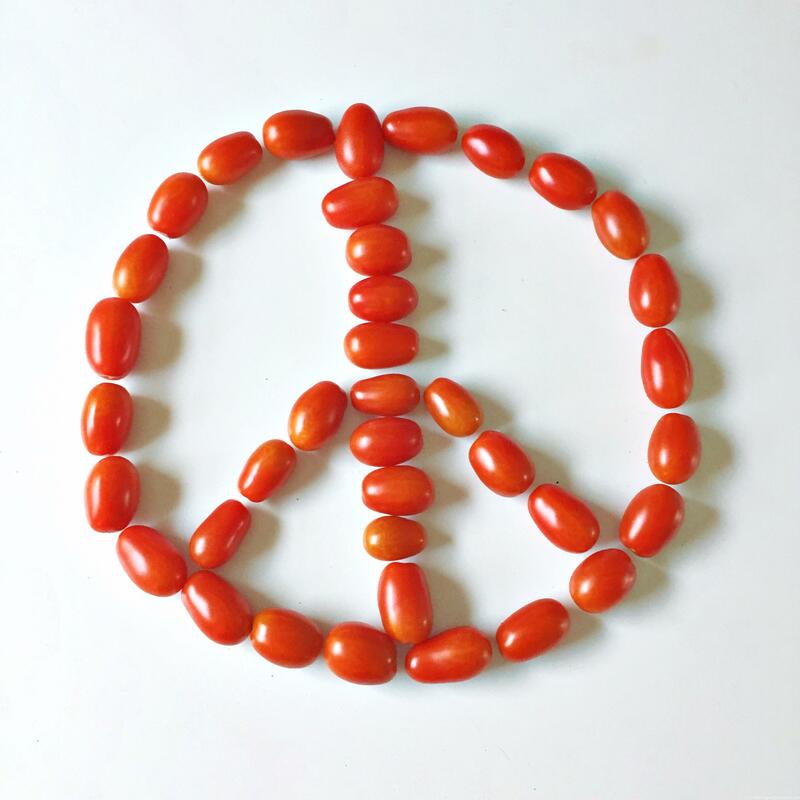 Until then enjoy tomatoes for world peace! I have been a fortunate gardener this year and have a robust, fruitful garden. It has less to do with effort, and more to do with nutrient-rich, sandy soil. For the first time I added a Spearmint plant to my herb garden. Little did I know that growing mint is the easy part, in fact it’s hard to have a small mint plant and needs to be cut back as to not overtake a garden. I love the looks of it and enjoy smelling the leaves, but other than that I did not have any plans for the mint. 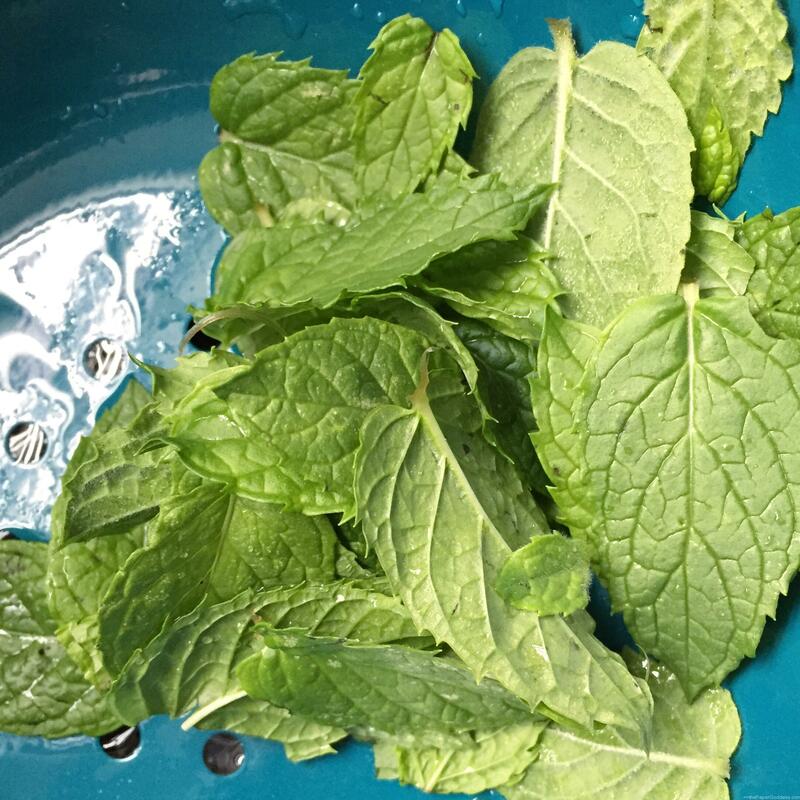 Browsing Pinterest for garden ideas, I stumbled upon a recipe for Simple Mint Syrup from Heather Diane Hardison from Illustrated Bites. She is a talented artist and even has a book out with her food illustrations, definitely going on my wish list. 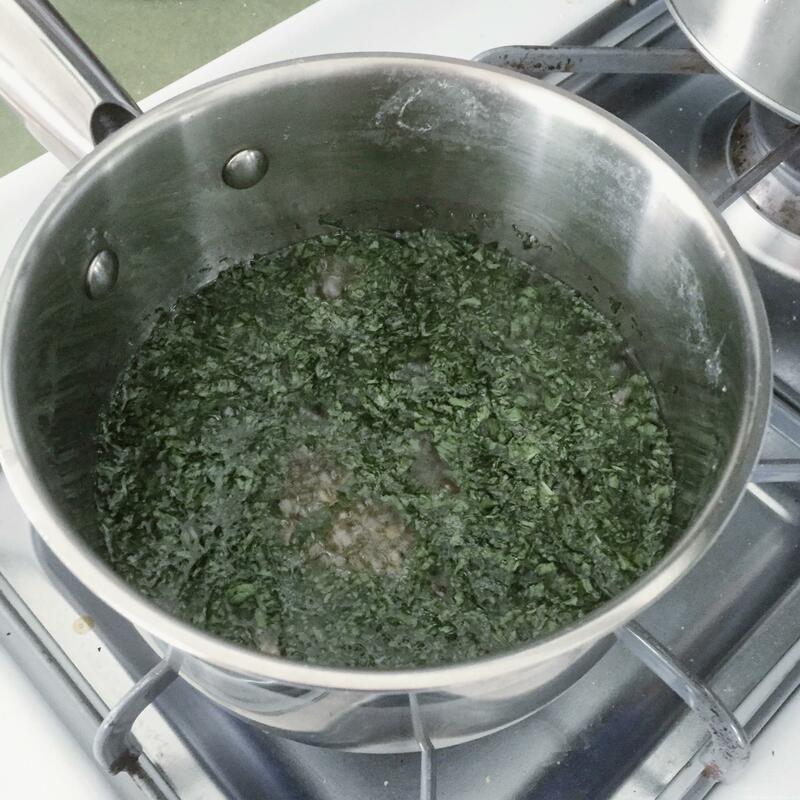 You can find the recipe for Mint Syrup here. I am not much of a recipe follower and tend to not measure. I cut this in half as I was not sure what I actually would do with the syrup at first. 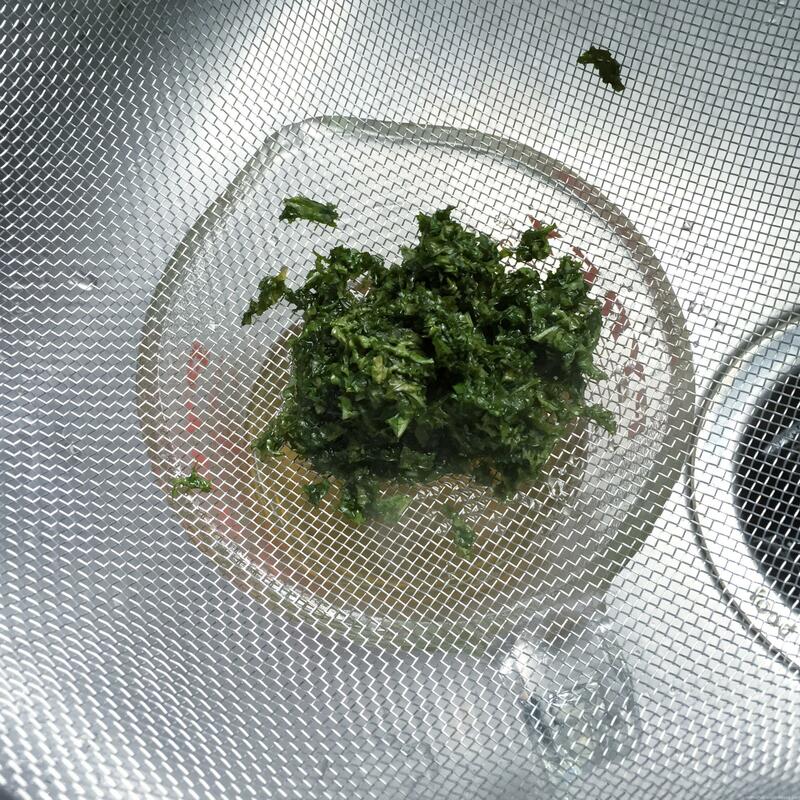 I followed the recipe suggestions, chopping mint, then boiling it with water and sugar. I modified it slightly by adding a few drops of vanilla extract to the mix. I have these small spice jars from World Market I have slowly been finding use for and thought this would work since I didn’t make that much syrup. I drained it into a Pyrex measuring cup first to let it cool down and make it easier to pour into the small jars. The next order of business was consumption! I had some leftover coffee sitting in the pot, so decided to whip up my own “frappe”. 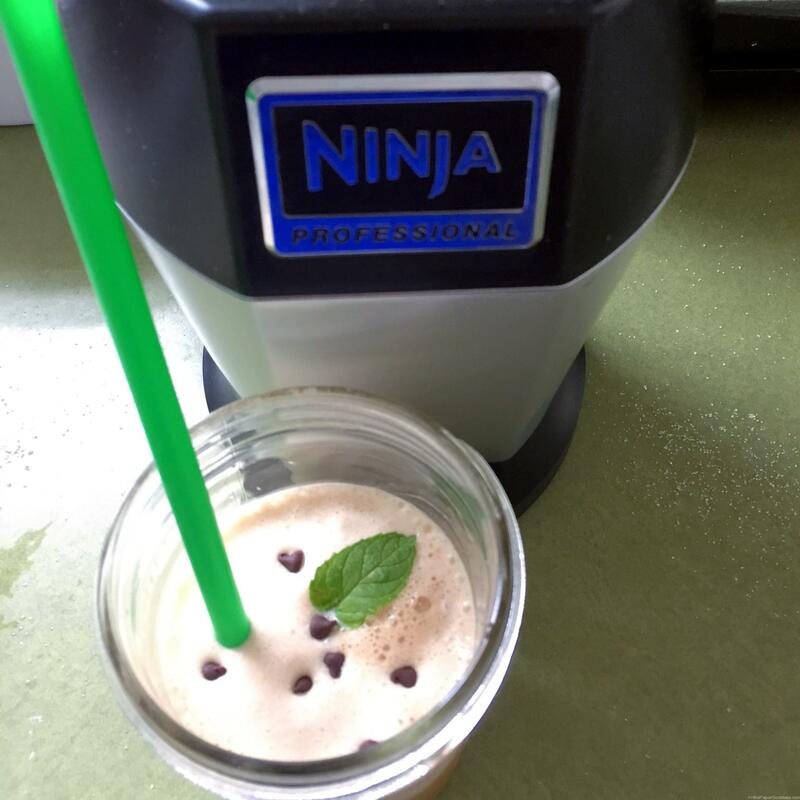 I added some half & half, ice, the mint syrup and a few mini chocolate chips to my Nutri Ninja blender. The drink came out nice and frothy, adding it to the rotation. On another night, I added some mint syrup to vanilla ice cream, it gives it a refreshing taste. I do not think I will use it all up before it spoils, but it’s so easy to recreate (literally takes 10 minutes) and the mint is abundant. If you are into mojitos, it seems like the perfect addition. I recently saw an article about dipping mint leaves in chocolate to harden, so that is next on the list!